Are you considering hiring a self-drive minibus during your holiday? If you are, it is advisable to be aware of the rules and regulations concerning driving larger vehicles in the country which you are visiting. In Europe a 9 seat minibus (8 passengers and a driver) is generally the maximum permitted rental vehicle size on a standard UK/EU licence. 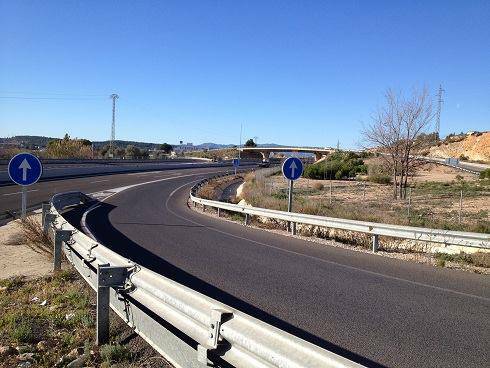 If you are hiring any vehicle including a minibus with a non-EU licence in countries such as Spain, you will require an International Driving Permit issued from your own country. Although the vehicle rental company may not request this document you are liable to receive a police fine if you are stopped when driving the vehicle. Can you drive a minibus in Europe with a UK licence after Brexit? 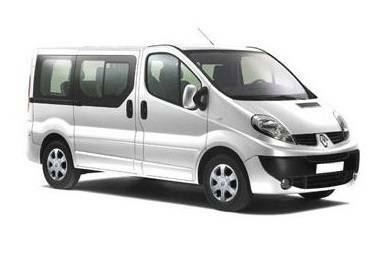 Is it possible to rent a minibus with 9 seats (driver + 8 passengers) in Europe with a UK licence? In most European locations including Cyprus, France, Italy, Portugal, Spain and the UK, 9 seat minibus rental is permitted with a UK/EU drivers licence. Can I rent and drive a vehicle with more than 9 seats anywhere in Europe with a UK licence? In most of Europe e.g. Italy, Portugal and Spain this is not possible. 9 seats is the maximum. What is the minimum age required to drive a 9 seat minibus in Europe? In the UK the minimum age to drive a 9 seat minibus is 21 years. However, if you are a young driver, check the rental terms and conditions before you book if you are travelling abroad, as some companies may stipulate that the hirer is older than 21. NOTE: Some rental companies may stipulate a maximum age, so please check the "Terms and Conditions" before booking if you are over 70. How much luggage can a 9 seater carry? 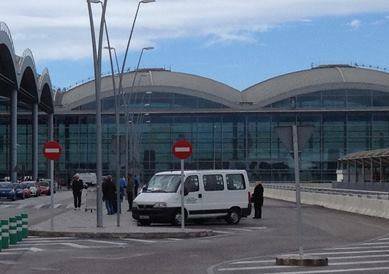 TIP: For the most popular golf locations such as Alicante Airport, Faro Airport and Malaga Airport please book larger vehicles as early as possible due to vehicle shortages, especially during July and August. Is the use of seat belts compulsory? Rental vehicles should be fitted with seat belts to all seats, and their use is compulsory for all passengers. What is the typical fuel consumption of a minivan? Unlike in the UK, in many European countries diesel is cheaper than unleaded fuel. In France diesel is nearly 15% cheaper than unleaded fuel. In Portugal the difference is around 10% and slightly less in Spain and Italy. What are the most popular minibus models? Can we hire a minibus in one country and travel to another e.g. to tour around Europe? Usually you will not be able to take larger rental vehicles including minibuses out of the country in which they were rented. Can we hire a minibus in the UK and take it to Ireland, France or other European countries? In some cases this may be possible, but check the T&Cs of the quote or call us before booking. Is it possible to visit another country for a day-trip e.g. to travel from Portugal to Spain? Yes, usually this is possible, but there may be a surcharge. Please check with the rental company. Is it recommended to purchase zero excess CDW insurance cover when hiring a minibus? Yes - the CDW excess for larger vehicles is typically around 1000 €. The CDW excess insurance cover split between 8 or 9 people should work out at 10-15 € per person for a week's rental. Can we hire a roof rack to carry large equipment e.g. surfboards? Most rental companies do not permit roof racks due to the local laws governing transportation of oversize equipment. It should be possible to fit a surfboard inside the vehicle, although it is worth checking the dimensions before you book. Can we use a trailer to carry large equipment? No, it is not permitted to use a trailer (in any case, the rental vehicle will not have a tow hook). Is it possible to hire an automatic 9 seat vehicle? Automatic transmission models are not common in the car rental industry. There are automatic Ford Transit models with limited availability at some destinations in France, Portugal and Spain, but most rental companies will only provide manual transmission vehicles. Can a party of 9 golfers, their cases and golfing equipment fit into a 9 seater minibus? Unlikely! A party of 8-9 golfers will need to consider hiring a second vehicle such as a large estate car for the golfing equipment. TIP: In summer months in hot countries such as France, Italy, Spain and Portugal it is worth enquiring with the rental company (or checking the quote details) as to whether the vehicle you are considering booking has air-conditioning. Some of the cheaper quotes may not have air-con. One alternative is to hire 2 smaller cars which may work out significantly cheaper than a minibus. For city destinations, a smaller car (or 2 smaller cars) would be a better alternative, especially with parking considerations. If you are planning to do a lot of driving in a busy city then probably the largest vehicle that you should consider hiring is a 7 seater such as a Ford Galaxy or a Renault Espace. If there are more than 9 persons in your party you may wish to consider hiring a larger van or minibus (generally up to 16 seat) including a driver for airport transfers and day-trips.